Portland is a city long blessed with more than its fair share of talented women singer/songwriters. Beginning in the late ‘70s with Rindy Ross of Quarterflash and extending to the present day, the succession is nothing short of regal, to say the very least. Following a career trajectory not unlike one of the aforementioned royalty: McKinley, Julie Larson came to a career in music rather late in life, beginning her apprenticeship in her mid-twenties; eventually releasing her first album, Freedom, in 1999. However, her kinship with her music has always remained strong— even through the years when she was unwilling to allow the outside world to express an opinion toward her music; thereby disallowing the possibility that everything witnessed is altered by the observation. Now in her early thirties, Larson is of an age where she is better able to express her musical emotions, without tearing the fabric of her being in the process. Here she quilts a coat of many fine and subtle hues, displaying deft sensitivity as a wordsmith, as well as a knack for giving voice to disconcerting vocal melodies over evocative chord progressions on the piano. Following the lead of yet another majestic local chanteuse, Kaitlyn Ni Donovan, whom Larson stylistically sometimes resembles in many myriad and intrinsic ways, Julie enlisted the aid of Tony Lash to produce the ten songs she presents in this project. As usual, Lash does more than simply act as album producer. He lends his services on drums, guitar and a variety of keyboards (including the bizarre Omnichord), as well as providing an array of loops and other programming skills. In addition, Julie elicited musical contributions from bassist Phil Baker and drummer Jeff Anthony, with added percussion from Greg Williams and guitars from Andy Harrison and Jonathan Drews (who has also accompanied Kaitlyn on several of her recordings). A seductive number, “Calling” leads off the set. Over a spongy Wurlitzer electric piano figure, Larson sings the poignant lyrics in a measured soprano register— a dead ringer for Ni Donovan’s emotive, whispered phrasing. The chorus is very nice, calling to mind Loreena McKennitt. Fans of Shawn Colvin (or Nicole Campbell) will appreciate “Paint,” its plaintive chorus haunting the edges of recollection as fog clings to early morning streets. A pretty change of pace, “Waiting” easily could be taken from Tori Amos’ first album Little Earthquakes. At first, it’s a simple contemplative ballad, consisting merely of vocals, piano and distant, angelic keys; before the drums and other instrumentation join in a full minute into the song. A lovely, hymn-like chorus resembles Dido, Tori Amos and Elizabeth Fraser of the Cocteau Twins, among others,; with Julie trilling softly through the resolutions. Very nice. A string quartet waltzes “Beyond,” a studied piece, perhaps a bit predictable. On the other hand, the Mitchell Froom-like mechanical quality in the production of the title track, “Open roads,” makes easy any comparisons to Suzanne Vega. Murky guitars murmur beneath flutey organ pads, as a metronomic drum machine whirs away at the center. 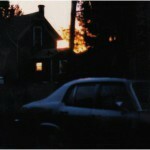 Julie’s voice cuts through the atmosphere as a mother’s home-beckoning voice cut’s through a child’s evening of play. “Rain” gently pitters and patters, before thundering to life toward the middle of the cut. 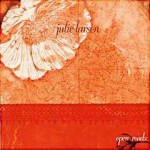 Buzzing guitar tones play against slapping organ fixtures, as Larson sings her tale. Her voice here, as always, alluring and siren-like, although it is generally impossible to tell what it is, exactly, that she is saying lyrically— much like an American version of Elizabeth Fraser. Moaning cello lines sustain “Turning Point,” over an insistent kick-drum beat and a variety of hand percussion. Surprisingly, this is one of Larson’s more audible lyrics, since its theme seems intimately personal in nature. Tori Amos and Kate Bush seem to be the influences on “Timeless.” “When I scatter about, the great circle keeps me going/In obstacles are manifest an honest reason in the morning/She becomes, she becomes the earth.” A pantheistic paean to uncertainty and indecision. Sounding very similar to Dido’s “Thank You,” “The Master” begins with a creaking drum loop. augmented by a simple guitar figure and random electronic noises. Tony Lash’s genius is everywhere evident and neatly contained within this track. Coming closer to Sarah McLachlan, “Run” traces familiar territory. A memorable chorus helps to lock in the sentiment, though overall, the song lacks (for better or worse) McLachlan’s penchant for over-emoting. Julie Larson proves herself worthy of claim to her share of praise as yet another in the amazing local lineage of fine female singer/songwriters. While at this stage in her career she is still feeling her way somewhat, perhaps more imitative of her influences than she might be in the future. But, just the same, this is a fine piece of work from a very talented artist in our midst. One of my favorite things to do is to fall asleep while listening to music on headphones. There is that brief, but exquisite evanescence that descends just before dropping off to sleep, that seems like a brief, sublime glimpse of heaven. It is precisely that sound (or space) that Bobby Birdman has captured on this ten-song masterpiece. Bobby Birdman is the pen-name of Rob Kieswetter, an enterprising young singer/songwriter with a musical umbilical cord that stretches back to Brian Wilson, in the acid-laced haze of his Smile period; and beyond, back to the days of Juan Esquivel and cool bachelor pad music. Still, Kieswetter’s inventiveness and spirit of experimentation abound throughout this imaginatively constructed album. Kieswetter refers to many experimental musicians, such as Lamonte Young, Yoko Ono, Kathy Berberian, John Cage and Harry Partch in creating some tracks. Check out the crazy waltz rhythm of “J Tear,” created by multi-tracking himself counting to three, then breaking these components into hypnotic fragments, which bob upon the surface of consciousness like leaves upon a still lake. Another example of Kieswetter’s cleverness is the beat derived from the simple act of breathing— which extends through the suite of “Such An Icy Feeling” and the title track, “Let Me In. “ Radiohead-like digital manipulations beep and zibbet over Rob’s deep-breathing percussion. Very cool. A seriously syncopated drum loop drives ”Moving On/Up,” as Rob accompanies the beat with earnest nylon-string acoustic guitar and random intermittent synth interjections. His ethereal vocal creates a distinct ambiance sort of like Lennon meeting Major Tom at Woodstock in 1969 to split a hit of brown acid. “Golden Arms” is a transfixing spacewalk, where backwards guitars sweep and swirl around Kieswetter’s detached vocals, as moody organ pedal points follow along. Strangely mystical and weird. After about three minutes of waltzing around with Rob’s ciphering, “J Tear” eventually evolves into a lovely little ballad, replete with Beatle-esque background vocals, abetted by Abra Ancliffe. “Hey Now” more or less continues the mood-altering mood, with Zak Riles adding mournful violin lines to the mix. The Beach Boys spring to mind on “Blue Skies,” with chiming background vocals sustained against bouyant acoustic guitar, maracas and other percussive manifestations. “Perfect For Light” is the most straightforward number of the set, one simple vocal and two indistinct acoustic guitars. Rob Kieswetter is a 21st century troubadour, who combines modern electronic elements and concepts with off-kilter ballads, producing strange, subliminal music that should only be listened to at the edges of sleep, where it all makes utter and complete sense; and where Rob is regarded as a brilliant artistic prodigy. Amy Annelle blew in to Portland from Chicago in early 1998 and has slowly carved out a name for herself on the local level, both as a solo act and as a member of the band the Places. Her first album, Which One Are You,, released late in 1999 met with widespread critical acclaim, as did the Places release, Autopilot Knows You Best . This release was recorded over a span of four years (including a couple of songs recorded in the Chicago days). All of the tracks were committed to a four-track cassette deck and, for that reason, bear a distinctive lo-fi appeal. Despite (or because) of those limitations, Amy is given an intimate setting that resembles somewhat a modern campfire . Picture perhaps, folks gathering around an electric heater to sing songs and spin tall tales. Whatever the case, the first song “The Birds Start Talking English,” is a fine example of all of the above. An old country music song twangs on in the background as Amy winds up her singing machine and out comes a lonesome prairie ballad, replete with clip-clopping percussion and stereotypical Western riff. Amy’s husky contralto and circumspect delivery are reminiscent of ‘70s folkie Mary McCaslin. “Litch” seems to be the story of some sort of Billy Bob Thornton character, but the chorus is interesting in its chromatic splendor. “Nothing” seems to apologize for not meeting someone else’s expectations. “What Is It This Time” seems to take task at someone for not meeting her expectations. Amy Annelle displays fulgent talents a songwriter and singer. This album is an unadorned, grass roots exhibition of the maturation of her abilities in both categories. She is a fine singer, with a voice that imparts emotion, while remaining somewhat icy and distant. Like Liz Phair or Vega, there is sensitivity, but not necessarily a sense of vulnerability. Beauty, but not fragility. Lately moved to Portland after thirteen years in the mid-valley, the Sugar Beets were voted Eugene’s best band in 1999 in an Eugene Weekly poll. They started out as a jam band at U of O in the late ‘80s, developing what they call Psychedelic Bluegrass or “groovegrass. There are Bluegrass elements, but the band touches on other styles as well. It’s an eight piece unit, featuring a diversity of instrumentation, including guitars, keyboards, violin, mandolin, sitar; as well as sprightly multivoice harmonies, layered over energetic arrangements. Most of the songs contain some sort of airy New age philosophy, ostensibly conceived to uplift the spirit in these troubled times. The subject matter is diverse. There’s a song (“The Rubiyat”) inspired by “The Rubiyat of Omar Khayyam,” an informal number dedicated to poet William Blake, several songs with reverential themes that speak to some higher calling. “I will lift you up and we will fly/Higher and higher/There’s no coming down/No sky, no ground/We are spirits at play,” from “Higher” and “A cell in the body of the rhythm/Unfolding in the kingdom of creation/The sound of the heart is the life in the flesh/And the living celebration/Of the death of the avatar/(In the kingdom of creation,” from “Avatar,” serve as examples of the Beets’ tendency toward proselytism. There are a few interesting curveballs, such as keyboardist/electric guitarist Scotty Perey’s offbeat “Bring It Down” and the folky tone poem “Did You Ask The Tall Blue-Eyed Hippie To Stay.” And vocalist sisters Megan and Brianna Bassett are obviously extremely talented, as are violinist David Burnham and multi-instrumentalist Jeremy Wegner. the band would seem, on the surface, to be the obvious suitable candidates to replace fellow Eugenites Calobo, who officially called it in not long ago, as resident Oregon hoedown jammers. But for all their good intentions and irrepressible vim, there is something strangely unsettling about the Sugar Beets. There are no emotions on display, but merely weird interpersonal/self-actualization conundrums: such as Megan Bassett’s on “Rome.” “Sunshine and sequins/Moonbeams and stars/Shoot from my being/Propelled by the beating of my heart/You gave me flowers/When we were young/Did I empower/Your compulsion to make what was all right wrong.” The average earthbound plebian is probably unable to grasp much of anything “shooting from his being” that he doesn’t try to set aflame with his lighter. There is only a strange, non-Christian, vaguely Eastern dogma onto which to hold and it is like grasping a rope of sand. Such is the case with acoustic guitarist Marty Chilla’s “The Final Understanding.” “ I can’t believe I used to think/That what I thought was happening is what is/Going on/Now I think it’s strange when I remember what I knew.” Or, unravel the quasi-Emersonian quagmire of the title track— “I am a drop of dew/And I will fall into the earth/And when I fall I will bloom into another birth.” Syllogisms such as these make the quest for higher consciousness seem like a trip to Starbucks. 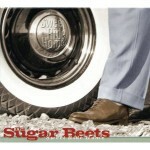 Certainly the Sugar Beets are capable musicians, whipping up a frenzy of sound from time to time. 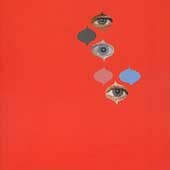 And certainly their airy lyrical pretensions are not likely to offend, though they are far from intimate or incisive. But there is a cloying peculiarity to the doctrine being professed. Something that just doesn’t quite add up, spiritually. And it is that specific aspect that is distinctly most unsatisfying.